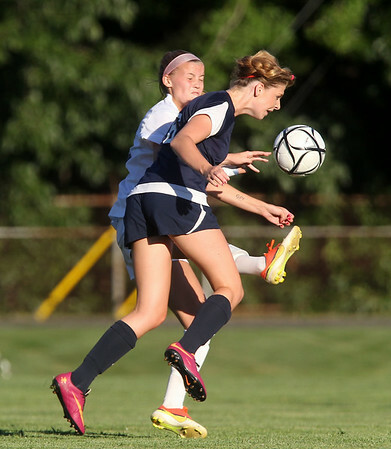 Danvers senior Meaghan McCarriston, left, manages to kick the ball just past lunging Swampscott sophomore Bridget Cullinane, during the first half of play on Wednesday afternoon. DAVID LE/Staff photo. 9/3/14.